Honda Motorcycle and Scooter India Pvt Ltd (HMSI) today announced the FUNtastic NAVilution spreading across 1 Lac happy custo-maniacs. Honda disrupted Indian 2Wheeler industry with the launch of NAVi amongst huge fan fair at Auto Expo 2016. The ‘most talked about’ two-wheeler of the country- Honda NAVi is the first 100% indigenously developed model by Honda R&D India i.e. from the concept development to commercial production. 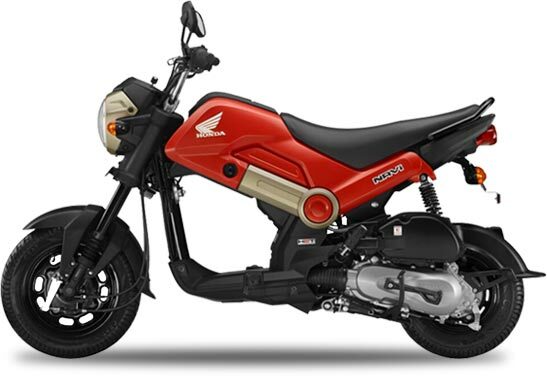 Spreading the FUN element not only in India but around the world, Honda NAVi will be available in two new international markets- the Dominican Republic and Costa Rica within this year. Currently, NAVi is exported to 10 countries. The trendy NAVi is a style statement and trendsetter for the youth. The unconventional design, looks and endless possibilities of customization has helped us to engage young 2Wheeler enthusiasts not only in India, but around the world. They all are enjoying the NAVi fun ride & exploring unique customisation options. NAVi is a design statement in its standard form and is FUN TO SEE, absolute pure FUN TO RIDE and FUN TO CREATE with customization options. The 2018 edition now comes with more exciting features like new stylish fuel gauge and metal muffler protector which provide for extra convenience. It is also available in two new vibrant colours – Ranger Green and Ladakh Brown with new body coloured elements- grab rail, headlight cover, rear view mirrors and sporty red colour cushion spring adding to its FUNtastic looks.